In the dark, not all underwater inhabitants passive. For some predatory representatives of the fish fauna it’s time to start hunting for a peaceful fish, quietly resting from your busy days. Because fishing at night on spinning is a profitable activity that should certainly try. In addition, night spinning allows a different perspective to look at the process of fishing. The angler feels totally different emotions and feelings. Fishing in the dark makes a variety of fishing, so every fan of hunting for predatory fish always comes to try this direction. Someone just manage to delve into its intricacies and secrets, someone is disappointed because mistakes were made in selecting tackle and lures, tactics and techniques, gear and auxiliary equipment. The predator behaves carelessly, allowing the angler close. You do not want to disguise, you just need to be quiet, not creating excessive noise. At night, the predator is not so picky about baits. He can grab any, regardless of its type, size, shape and color. In certain periods the fish often feed, there is a huge number of greedy bites and catches can substantially exceed the daytime. Now, convinced of the prospects of a night of fishing, we can consider its features, secrets, subtleties and nuances. Nocturnal predators in our waters is found a lot. This perch, catfish, burbot, Chub. Spinning consistently caught only fanged and the lobes of the representatives of ichthyofauna. The latter is often interspersed with catches and IDE that are also in the dark is active, attacking bait, falling into his field of vision. The best season for a night of fishing – summer. In spring and autumn the predator is caught on the spinning worse. In cold water it is advisable to hunt during the day. In a dark time of the day successfully fishing can only advanced master, well knowing the habits of fish, especially the local reservoir and having extensive experience. Perch is the main predator of freshwater, which can hunt in the dark. In some periods of the year fishing the night brings even better catches than in daylight. To catch fanged spinning is possible in the spring, summer and autumn. The spring peak of activity Zander pre-spawning period when the fish migrates to the spawning places. On some rivers there is a tendency in which the best catches are in the twilight and the first hour after sunset. Experienced anglers, knowing this feature, never graduate from a fishing trip ahead of time. As soon as it starts to grey, but need to be prepared for greedy jerks predator. It happens that for fifteen or twenty minutes in the dark could earn a lot more bites than the day, catch several heavy copies. With the onset of summer fanged aktiviziruyutsya water bodies. Now he goes on the shallow areas with sandy or gravel bottom, and during the night hunting for racks fry – perch, roach, bleak and small galafilm. Summer fishing for walleye night is popular among many anglers. So hunt for fanged predator in many regions on the medium and large rivers, reservoirs and large lakes. It is important to detect the areas where it feeds on fish, and the results will not keep itself waiting long. Autumn night fishing for perch is conducted in large and medium-sized rivers. Seasoned anglers know Parking active predator, harvesting, which often requires a boat. During this period, night-time manages to catch trophy animals. The process of fishing is difficult, requires experience and skill, a thorough knowledge of the behavior of the fanged and bottom in the fishing spot. These predators decided to hunt at night in the warm period. In the summer there is a mass flight of insects, because Chub and IDE are active at dusk and in the dark. straight “tube” with depths up to 2-3 meters. It is best to fish for Chub at night on small rivers. Here you can fish from the shore, oblasova all the promising points light tackle. On wide deep arteries to get to predator more difficult, you have to use a boat that is unsafe and uncomfortable. If you are going night fishing, you need to be confident in the selected gear. They must not fail in the crucial moment and not to spoil the process of catching. Special attention should be paid to the reliability and durability of the set, because the angling is conducted in the dark, and in many situations the angler reacts intuitively. Photo 1. Convenience is the main thing in night gear! Test spinning and breaking load of twine shall comply with the applicable baits and the potential size of prey. At the same time to choose the tackle that they were somewhat more powerful than the set for a day of fishing in the same spot the same fish. Tip! You can’t take too powerful gear, otherwise will lose its sensitivity, which at night plays a key role. Night it is recommended to use the network. Tensile nylon thread does not allow quality control of the wiring, the tracking behavior of the lure. Cord ensures sensitivity. Also when biting with the multi-fiber fishing line cutting is not required, the predator pinpoint myself at the moment sharp acumen. Night fly fishing is mostly short-circuited. To make the long shots is not required because there is no need to buy a long pole. Optimal “growth” of the spinning reel for fishing in the dark will be 2.10 metres. For night fishing lures you can use diverse artificial lures. 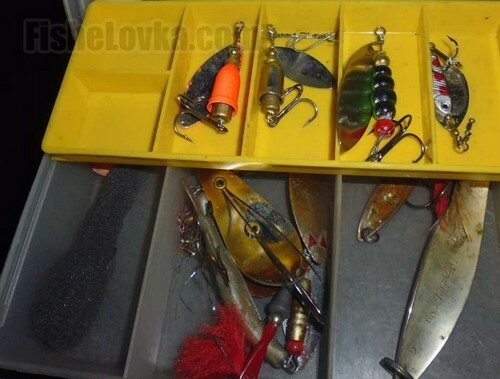 However, the most efficient and suitable lures. best manifest themselves when fishing at close range, since they allow to perform a prolonged pause in the transaction and to make a presentation on sverhodarennym speeds. For hunting walleye made use of crankbaits minnow class. These elongated “fish” by its shape and vibrations mimic fry. On the fanged predator choose lures with a length of about 10 cm, endowed with its own game and is able to work steadily on the course. For Chub used miniature cranky. These “puzatiki” imitate small fish and insect fallen into the water. Night actual floating model, because they allow you to float, lure, or make a pause when you post. The sinking lure in the dark will be more likely to cling to algae and various obstacles. To lose an expensive lure in our financially challenging time – a luxury. Photo 2. Sometimes night work and budget spinners. The outfit for night fishing shall be presented attention. It affects not only the result of fishing, but also the health of the spinner. In the dark, even in the summer months, the temperature is reduced. If you do not care about warm things, then you can catch a cold, the flu or pneumonia. Definitely for night fishing with a need to take a jacket, with waterproof properties. It additionally warm if jackets or sweaters are not enough. In her pockets conveniently store small items – phone, papers, matches, etc. Also outerwear will protect from pesky mosquitoes, which aktiviziruyutsya after sunset. Headgear is mandatory in any weather. In summer you can use a cap or hat, spring and autumn it is advisable to have a warm knitted cap that protects from cold wind and low temperatures, not allowing to freeze and get sick. Shoes should be warm and protect from moisture. Night, especially in summer, have to catch by going into the water. To do this, use Zapadny jumpsuit, high boots or fishing waders. Regardless of the type of “ammunition”, so you need to choose its size and design to the foot was always in a stable position and firmly fixed. Otherwise, moving in the process of catching, you can tuck the foot and get a nasty injury. When fishing in a boat in autumn shoes should have a good warm up. Being on the water, your feet freeze much faster. In addition, the boats have nowhere to move to keep warm. The right choice would be to use boots foam rubber insulation with the tabs. You can buy winter boots with enhanced properties for the removal of condensate from the feet in the event of overheating. In cold weather, in gear the spinner will not interfere with gloves. Today are available in different models with different design. Have with cropped fingers have a tapered profile. In any case, they should not hamper movement and significantly reduce tactile sensitivity of the Fisher. Obligatory element of equipment the angler night fishing is the light. It is desirable to have several devices – headlamp with spare set of batteries, one or two pocket as a secondary light source. the segment of the rope. A good helper of modern anglers is a smartphone with GPS Navigator, camera, lighting, and other useful options. Photo 3. As dawn swallowed the pike! Fishing with friends, you should keep your distance, so as not to catch each other by the hooks on the cast, not to cause injury when cutting and towing. To move along the shore or in the water, to change the bait, remove fish from the hook, wrap the snap and to make other transactions should the light source, so as not to harm herself and not to confuse the line. To perform casts and posting have turned off the lantern, so as not to scare off the predator. Should dress for the weather, so as not to be nipped by the frost at night. We must not forget that the river temperature cools more than in the village. 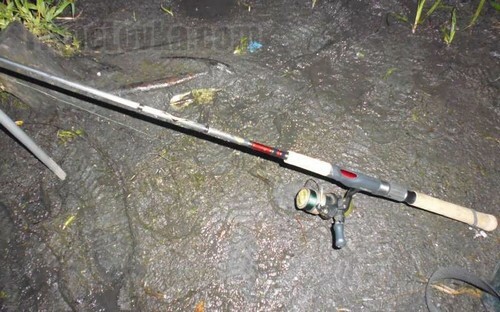 If fishing in the dark is carried out from a boat, it is necessary to equip the Parking lights that must be switched, and a powerful spotlight to navigate the waters. In the summer, mandatory item of equipment will be repellent against blood-sucking insects. Fishing in the vast waters from a boat, will not prevent the presence of echo sounder and GPS. These devices will help to find the coveted catchability point and not get lost in the dark.